Do you love the flavor of coffee, but find that it irritates your stomach or causes indigestion? These symptoms are caused by coffee’s acidic qualities, but not all coffees are high in acid or cause your stomach to secrete excess acid. If you experience an upset stomach after drinking coffee, all you need to do is switch to a lower-acid coffee or a darker brew. Recent studies have found that dark roast coffee is less likely to cause indigestion than lighter roast coffee. When coffee is roasted to the dark stage, it starts to produce an ingredient called N-methylpyridinium, or NMP, which prevents hydrochloric acid from building up in the stomach. The researchers exposed human acid-secreting stomach cells to regular, dark roast, decaffeinated, and low-acid coffees, and found that the dark roast coffee caused the stomach cells to secrete less acid, due to NMP. They also found that low-acid coffees were easier on the stomach than “regular” coffees. 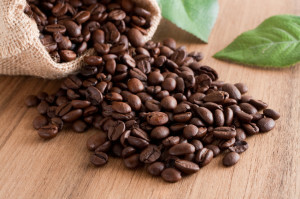 While many companies create low-acid coffees by treating the beans with harsh chemicals such as ethyl acetate, low-acid coffee can also be created by growing the beans in very specific conditions. Our Hawaiian Ka’u coffee, grown in rich volcanic soils and mountain air, is naturally low-acid. We don’t treat the beans with anything before roasting them, so every bean you receive is 100% natural and low in acid. This is good news if you have a sensitive stomach. You can enjoy any of our coffees in light, dark or medium roast, and not have to worry about indigestion or a rumbling tummy. Visit our website to explore our collection of Hawaiian Ka’u coffee, all of which are naturally low-acid. Our Peaberry coffee is hand-selected for exceptional flavor, and our Premium Black Label beans are known for their full-bodied taste. Well, that explains how I can drink so much and never suffer tummy pains. I have always preferred dark roast! Ordering some right now! We visited in January and loved your nuts and coffee. Hope all is well!